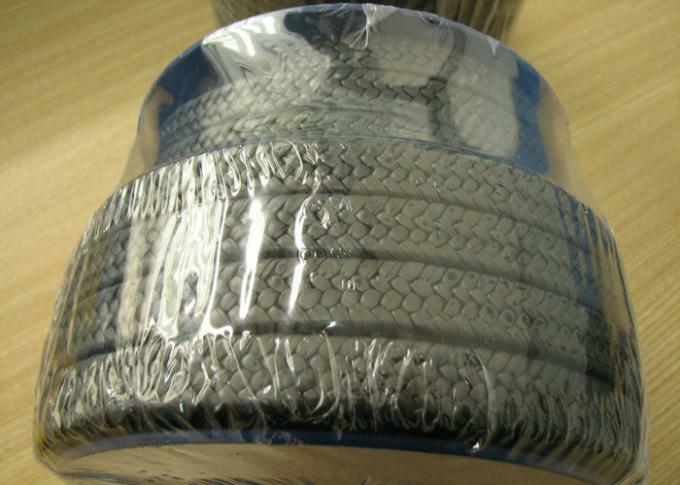 Expanded graphite braided packing: it is made from expanded pure graphite yarn. It is braided into packing through all kinds of technology of braiding. 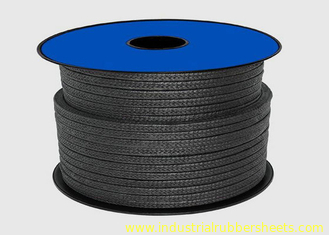 It can be divided into expanded graphite braided packing with inconel wire inserted. We offer the expanded graphite braided packing with fiberglass and expanded graphite braided packing impregnated with PTFE dispersion. The expanded graphite braided packing has less weight loss. with PTFE dispersion and processed with lubricant. It is braided into square cross section. As the strength and module of Kevlar is as high as the steel-like strength. So, this packing can be compared with other kinds of braided packing. It can resist more serve media and higher pressure. It can be installed separately or as end rings with other kinds of packing to combine different characteristics into the packing set. carbon fiber braided packing: this product is a braided packing made of carbonized poly acrylonitrile fiber and finished with PTFE dispersion and lubricant. It has a wide range of application. It is relatively economical among non-asbestos packing. It is to seal water, brine, factory waste, salt solutions, weak acids and mineral oil. It is used for centrifugal pumps, mixers and agitators.